The Dry Goods Bag is built for comfortable all-weather commuting. 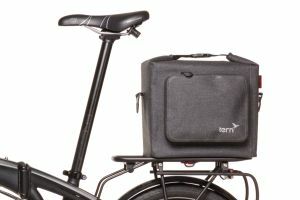 With KLICKfix mounts, it clips effortlessly on any rear Tern rack, and because all the mounting hardware is tucked away under the bag, it’s a pleasure to carry when you’re off the bike too. 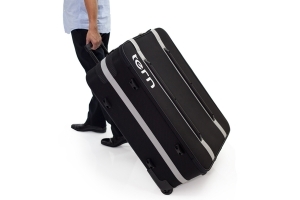 It’s sonically welded, 100% waterproof, and holds up to 11.2 L (683.5 cu in) of gear and groceries.